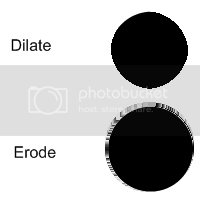 Erode/dilate filter. The dilatation is one of the most simple way to remove scratches and noise from an uniform background. so wuts the purpose of the plugin? I was actually thinking about this the other day. It's one thing that I really liked in The GIMP that I missed when working in PDN. And it seems to work rather well! I understand that this is similar to the Median Blur effect. I used the Median Blur effect remove the power lines in the image below. With your plugin the edited areas were to blocky at any intensity to be useful. The Median Blur makes it less noticeable that the image was edited. Good job, dake. I can already see very good use for this! This looks like the exact same as Median, except with a square shaped area instead of a circle shaped area. That has a cool crystalline look to it. Median blur is more configurable. This would do well as a check box on the Median Blur effect...Square/Circle? Could someone confirm if this plugin affects the 'Text' tool? After installing it, I couldn't insert any text onto a new layer. Succeeded after removing the new plugin. Wonder if this problem is peculiar to my notebook or whether it is a more widespread problem. My text tool remains unaffected. I can still add text as usual with the plugin installed. Awesome! I'll use this definatly.. It really looks like it could be more of a photo editing tool than a "Paint" tool... But its efficiant enough to be used as both! The erode/dilate filter can be extended to have a smooth shape around the pixels (instead of a square). The filter basically works like this : you define a box around each source pixel (the box size is set by the intensity) and you find the brightest pixel in this small area (ie. the brightest neighbour in the source picture). The destination pixel is then replaced by the brightest pixel. The erode is exactly the same except that you use the darkest pixel. Now, instead of using a square area, one could use a circle, a star, whatever (though you must keep in mind that you can not have a large shape otherwise it would take ages to complete). I will try to add some shapes to see if it comes up with interesting effects, not to replace the median blur but to have some "crystalize" effects. 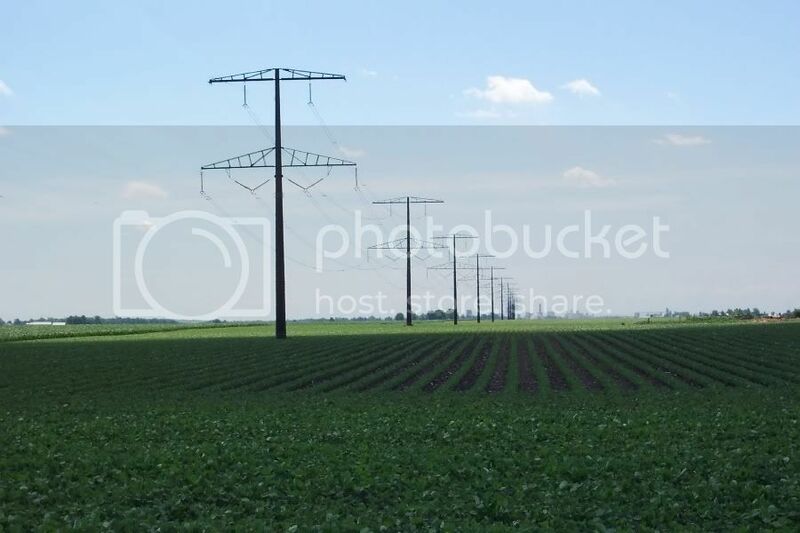 This is from the same website, but it covers spactial filters like the median filter. Can you compress it in a zip rather than a rar? FreeWebs accounts newer than 7 days are provisional and can only upload files up to 750K. Provisional users also can not upload .exe files. You can remove this provision immediately by signing up for a premium service. I got the new dll working and it looks good. I like the whole shape option thing! Well, dake, I figured I would rehost the source as a ZIP file on my getpaint.net account. I have noticed that, when used on shapes on transparent layers, you get rough edges. Is is possible to correct this? It works excellently on solid layers, though. 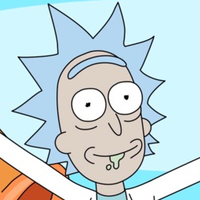 To Rick : I have to check your median code but I would say it is different. A median blur is (by definition) not based on the brightest or darkest pixel in the area of interest but by the neighbour which is in the middle of the neighbours list after sorting. To get a median filter as you defined above, you need to sort the values. If you have the values sorted, it is trivial to get the max or min value, or anywhere in between (the 'percentile'). Can you now see how the pdn Median filter is a somewhat more sophisticated version of yours (all be it with a circular neighbourhood selection) ?